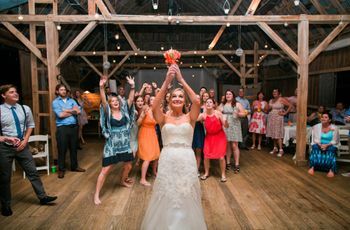 Selecting your wedding reception music can definitely be a challenge during wedding planning—especially when you’re narrowing down potential father-daughter dance songs. 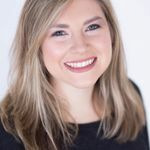 From reminiscing on all the sweet moments you’ve had with your father or father-figure to choosing a song choice that reflects you and your dad’s relationship, it can be a difficult task. 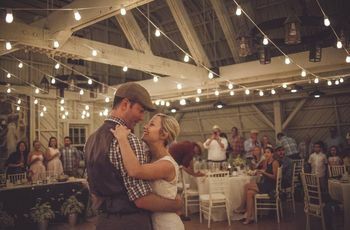 So, we felt musically-inspired to round up the very best father-daughter dance songs for you and your father to sway and spin to during your wedding reception. 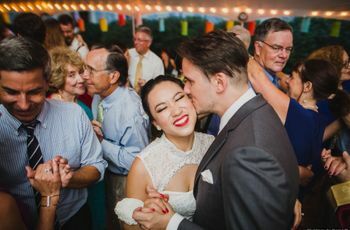 Whether you're looking for something that’s upbeat and easy to dance to or a song that tugs at the heart strings, these top father-daughter dance songs are perfect for any wedding day. Check out the top father-daughter dance songs that are bound to make you and your dad shed a tear or two. A recognizable song choice with a tender melody, it’ll be hard to fight off happy tears while dancing to this Beatles classic. With lyrics such as, “That’s my daughter in the water / Everything she knows, I taught her,” and “That's my daughter in the water / Every time she fell, I caught her,” we think your dad will love dancing to this chill folk song. This happy-go-lucky tune is a great choice for a father-daughter dance song. Amos Lee’s mix of folk, rock, and soul creates a lighthearted beat that will have everyone swaying along as they watch you twirl around the dance floor with your dad. This country hit is sure to bring you back down memory lane. “Just Fishin” talks about the special bond between a father and his little girl and is a great pick if you’re looking for a sentimental song. Stevie Nicks folk rock song is a beautiful and classic pick for a father-daughter dance song. If you think it’s a little too slow for your dance, you can opt for a slightly more upbeat version, like the cover by the Dixie Chicks. If you’re hoping to find a modern father-daughter dance song then Charlie Puth’s pop hit is a great choice. Johnny Cash’s cover of this timeless sing-along is definitely an oldie but a goodie that works wonderfully as a father-daughter dance song. Stevie Wonder actually wrote this song for his daughter, Aisha. So, if you and your dad love to dance, then this upbeat and meaningful tune is the perfect pick for a father-daughter dance song. A sweet tune by Paul Simon, this song choice will definitely give you and your father all the feels during your father-daughter dance. Throw it back to the 60s for your father-daughter dance song with this classic hit by The Temptations. It has a great beat that’s easy to dance to, even if you two aren't pro dancers. A great choice for your father-daughter dance because it’s easy to sing along to! How many times have called your dad for advice or help? If the answer is A LOT, then this soulful hit is the perfect pick for your father-daughter dance song. A lively father-daughter dance song, you can easily own the dance floor with this rock hit. What can be said about Sinatra that you haven’t heard before? 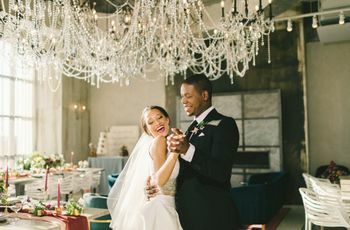 The classic crooner is the perfect father-daughter dance song for a formal affair or if you’re hosting a vintage-inspired soirée. This song will bring back all the amazing memories you’ve shared with your dad, making it an ultra touching pick for a father-daughter dance song. Tim McGraw captures exactly what it’s like to watch your daughter grow up during this lovely country tune. 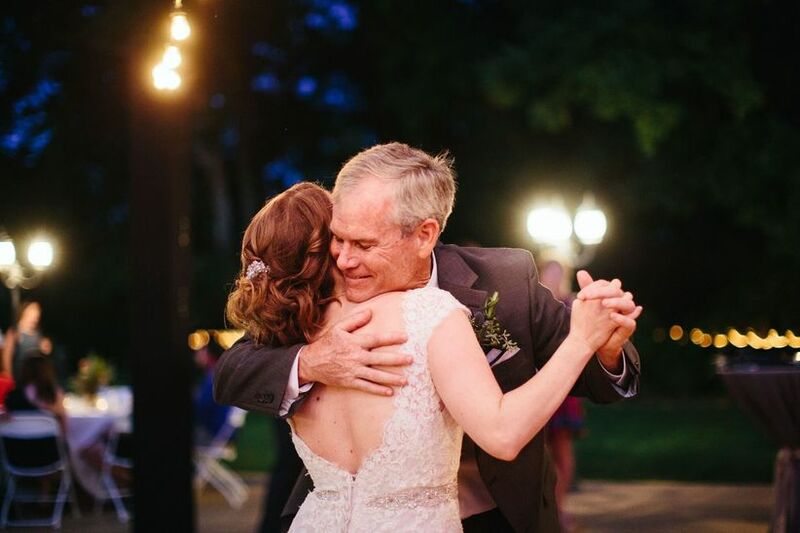 A timeless classic, this father-daughter dance song will definitely make your guests teary eyed. The mix of Armstrong’s gravelly voice and soft musical accompaniment will surely put a smile on both of your faces. Nat King Cole's vocals in this classic hit makes this father-daughter dance song choice a definite crowd pleaser. Another father-daughter dance song to cue the waterworks, “ I Loved Her First” is all about a dad’s love for his daughter.